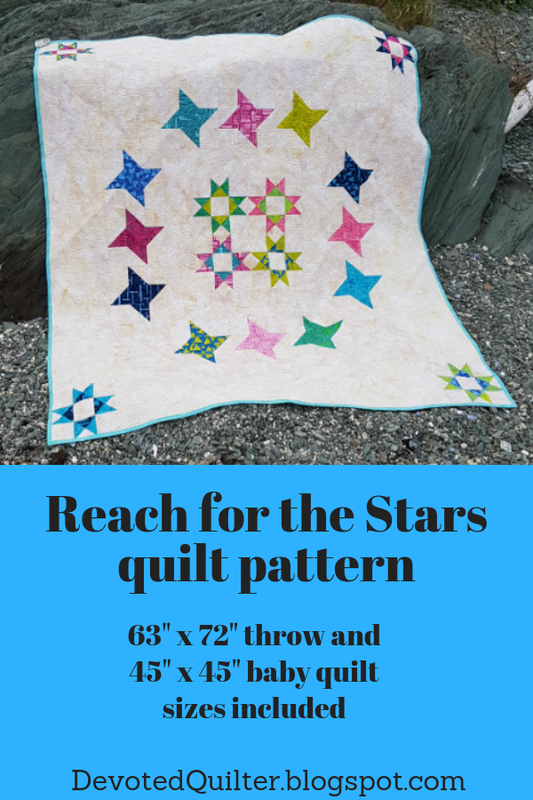 This pattern has been in my WIP pile for 4 months, so it feels good to finally be able to release Reach for the Stars. There are two size options included in the pattern - the 63" x 72" throw quilt shown and a 45" x 45" baby quilt. 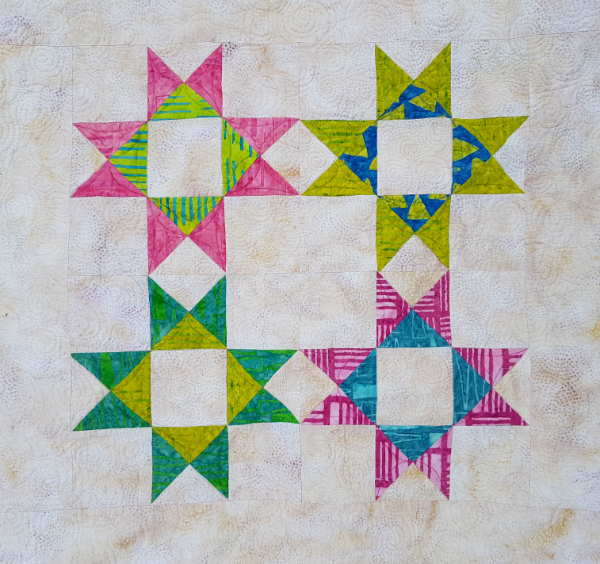 Star blocks are so much fun to make, don't you think? With this pattern you can stitch up a galaxy quickly, then surround them with negative space for a fun, modern quilt. This version of Reach for the Stars is made with Island Batik Elementz fabrics on a Buttermilk background, which I absolutely love. I think it would look great with a dark background and low volume scraps, too, though, which might be the next way I make it. I wonder when I'll need a baby quilt next? I also think a rainbow version would be fun. Which way would you make it first? To celebrate the release, Reach for the Stars is available for 25% off the regular price through Thursday, October 18th. You can get your copy through either my Payhip or Etsy shops. I love that background fabric too. After seeing this I dont think I would enjoy a dark background. Good job! Congratulations on the pattern release Leanne. I think this quilt would look really awesome with low volume scraps as background. Yes, yes, it would be fun to see this with a dark background. I think it would give the design a completely different personality. Congrats on releasing this pattern! Congrats! on the release of your new pattern. It's SEW lovely! !